On a recent road trip around Indianapolis, we were leaving the city and decided to find a place for dinner. As a tourist in the state of Indiana, we tend to stick to the main roads and interstates, but we ventured into the town of Carmel down Main Street and came across Woodys Library Restaurant. The building once served as the towns library until 1970 where it was turned into city offices. 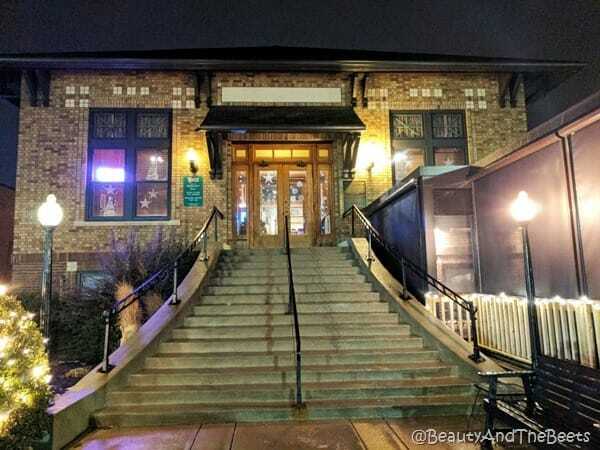 In 1998, the building became what is now known as Woodys Library Restaurant, a popular local spot. 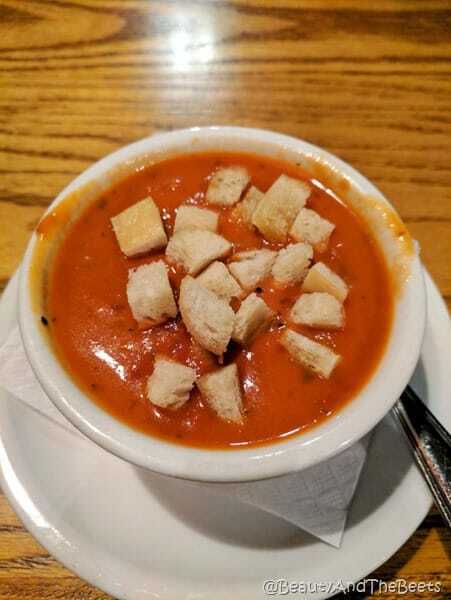 I started with a cup of the Tomato Bisque. I liked it enough but it was a bit bland. However, it was perfect for the cold day outside. 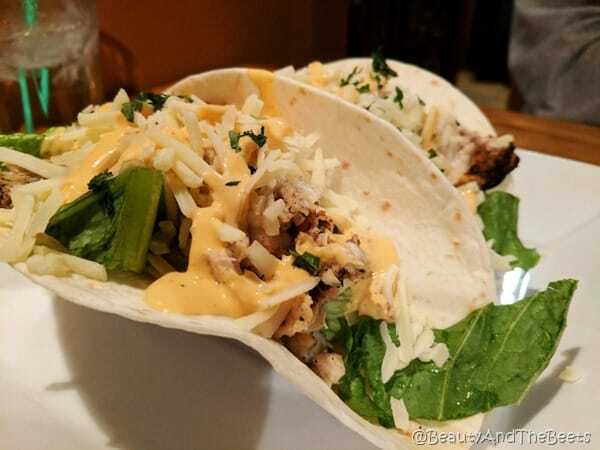 Mr. Beet ordered the Blackened Tilapia Tacos for dinner. He enjoyed the tacos as they were cooked well and spiced just right. 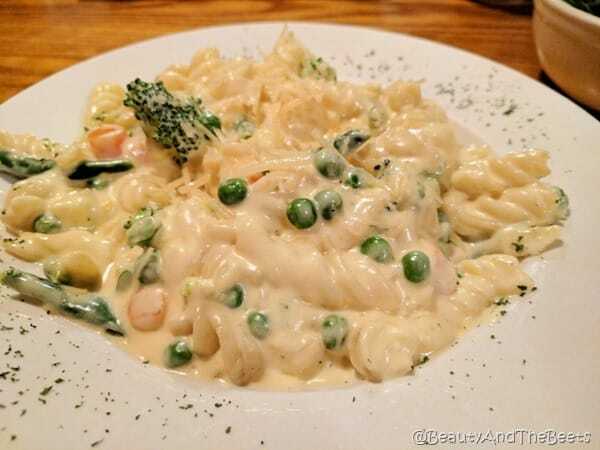 I tried the Veggie Carbonara – pasta with broccoli, green beans, peas, and carrots in a creamy Parmesan sauce. While the taste was OK, the dish was drowning in cheese sauce. Quite disappointing. 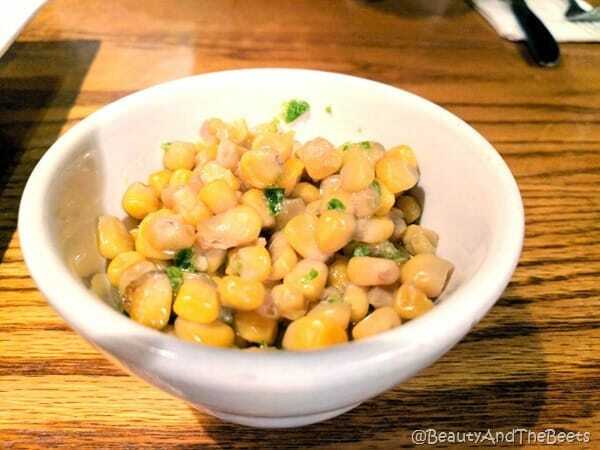 I also ordered a side of the Jalapeno Honey Buttered Corn. It was spicy and sweet- super tasty. I love corn, something Indiana famously grows. Dessert is where Woodys Library Restaurant redeemed themselves with me. 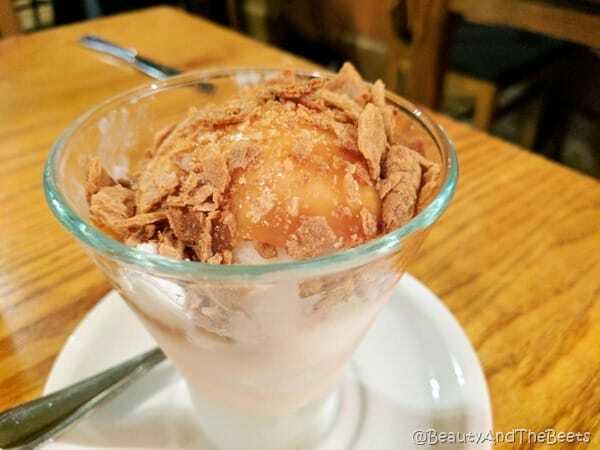 I ordered a special dessert that was being offered – an Apple Cobbler Sundae and it was delicious. Mr. Beet loved the Mississippi Mud pie. 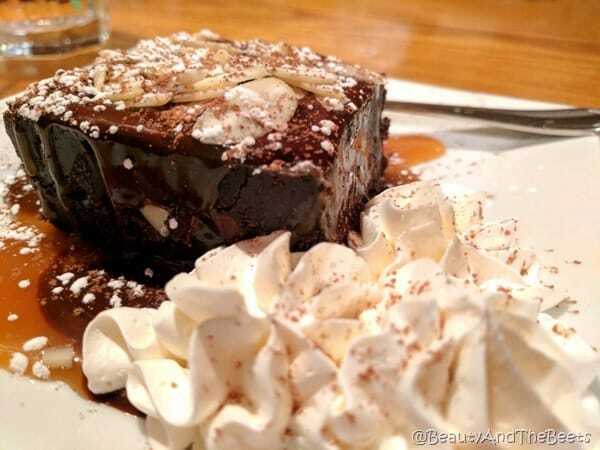 It was thick, warm and super chocolately – super goodness. All in all, Woodys Library Restaurant was a neat spot but we probably wouldn’t rush back there anytime soon as there are plenty of other places for us to try in the area. 3 1/2 out of 5 sprouts.